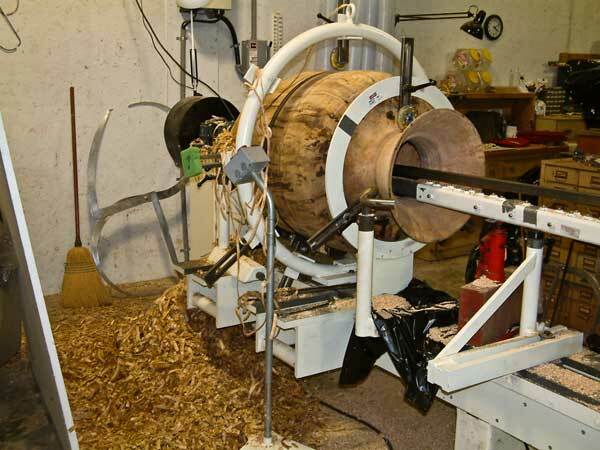 After many years of refining curves, shapes and forms of the artists interpretation of a classic vase, the largest vase capable of being turned on the Stubby 750 Lathe was produced with the aid of custom made auxiliary bed extensions, Steady rests, boring bars up to 2" diameter, calipers for measuring wall thickness, a drying kiln, and a torque arrester for holding the boring bars steady as they reached 24" into the hollowform. 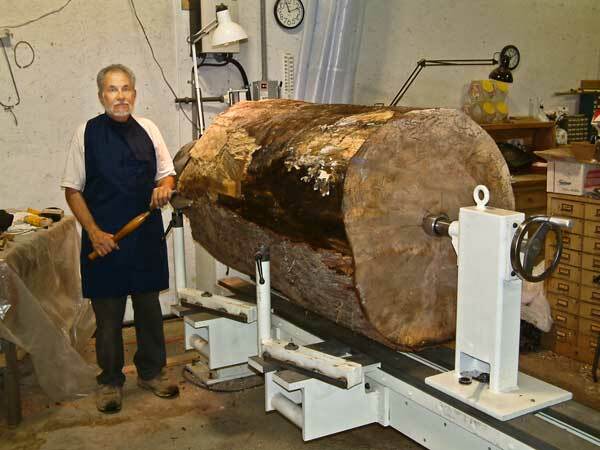 As the size limits of the Stubby had been reached, Al was able to purchase a custom made lathe from John Nichols of Oregon just before he closed his business. It was called the Nichols Bigway and had a 40" swing and a 12 foot bed. 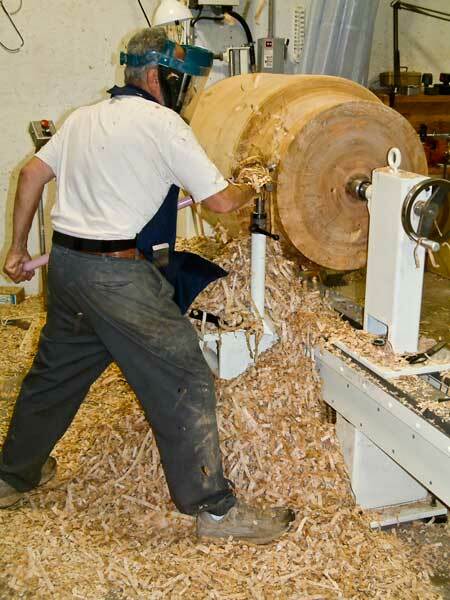 This lathe was made especially heavy duty with a custom 5HP motor and controller and many specially made implements for large turnings including 2 side beds, torque arresters, boring tools, tool holders and supports, a telescopic tool rest, large faceplates, and 2 giant steady rests. 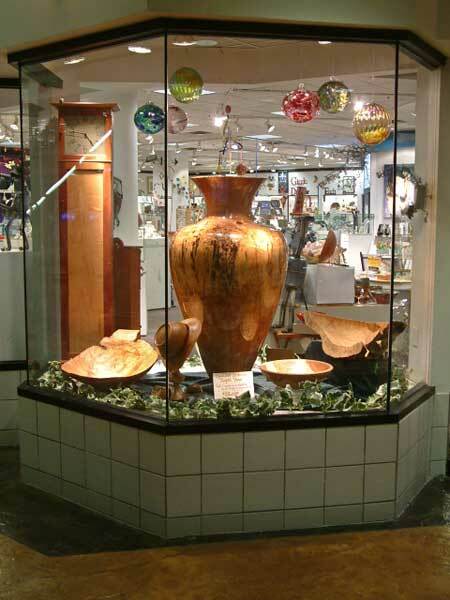 However, before the big brother of the 24" high vase could be turned, more aids had to be made such as a very large low temperature kiln, and special scrapers and sanders for smoothing and calipers for measuring wall thickness four feet into the interior of a hollowform. 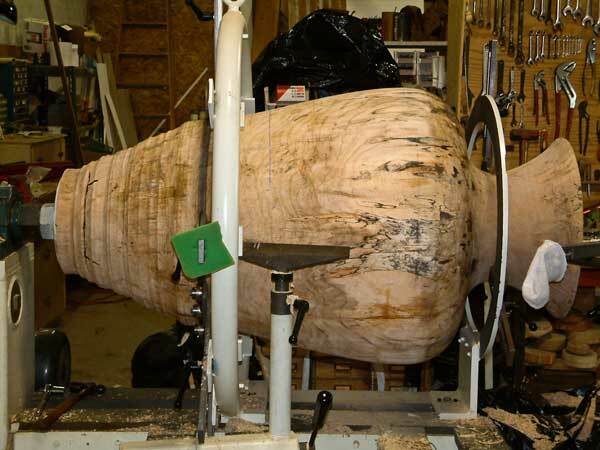 The next series of photos show how a spalted maple log was transformed into a very large vase that stands 48 inches high with a diameter of about 29 inches and with a total weight of 25 lbs. 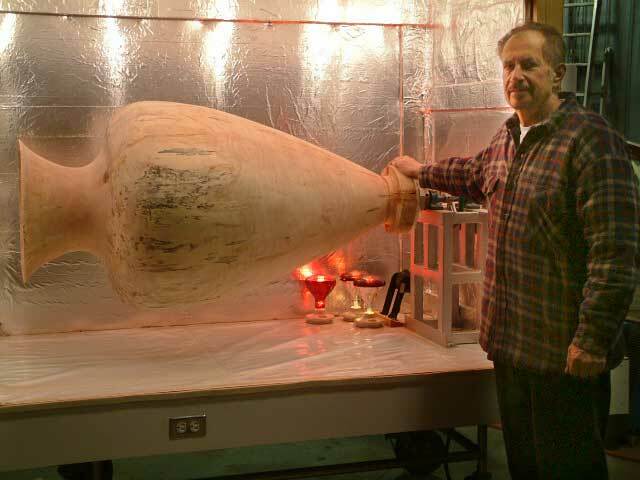 The VLV (Very Large Vase) after hollowing and sanding is placed in a low temperature drying kiln. The wall thickness is about 1/4 inch and and it weighs under 20 lbs. 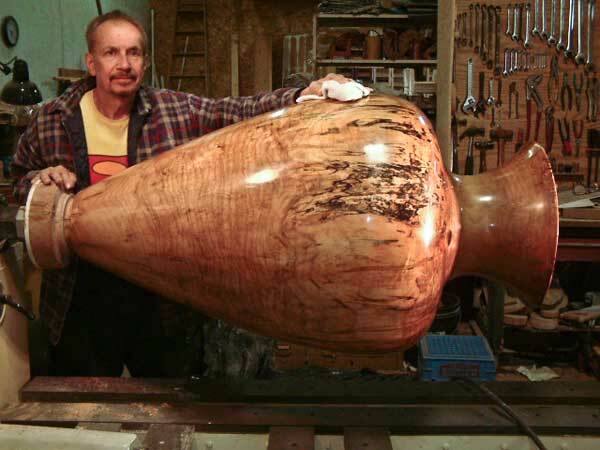 after drying and before applying the finish. The VLV after the epoxy coating has been applied and cured.